Year-round entertainment abounds at the nationally renowned New York Mills Regional Cultural Center. This arts organization is dedicated to expanding the cultural and creative opportunities for rural Americans, and is a rural hub for creativity, community vitality, and lifelong learning in the arts. The Center offers visitors intimate opportunities to encounter art and artists in an 80-seat concert listening room, two galleries in a historic building, a great gift store featuring local artists, an artist residency program, a sculpture park, and a variety of opportunities to learn, grow, and thrive. It also hosts the nationally known Great American Think-Off in New York Mills each June. 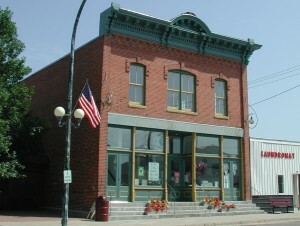 Since its incorporation in 1990, the Cultural Center has been connecting people to artists and rich cultural experiences in rural Minnesota, celebrating the local and being a window to the world. Please visit www.kulcher.org to learn more about the Center, and to find a schedule of upcoming events.